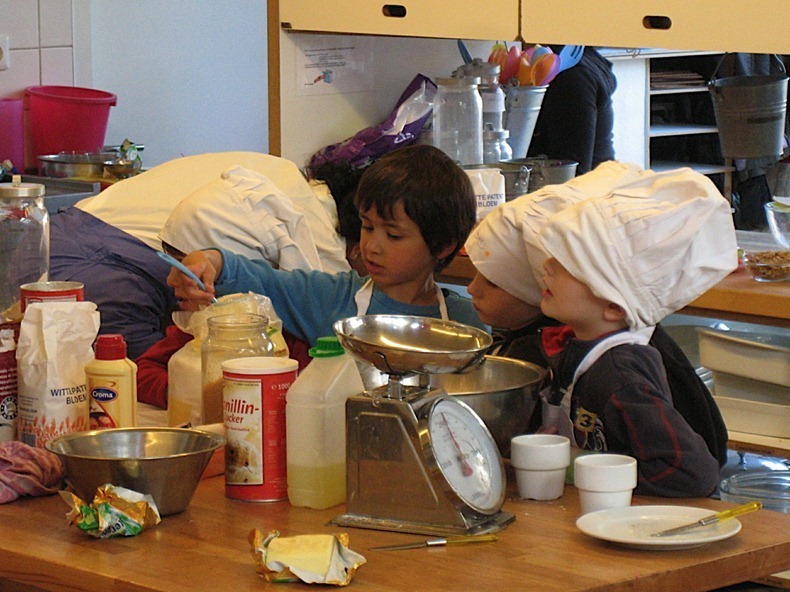 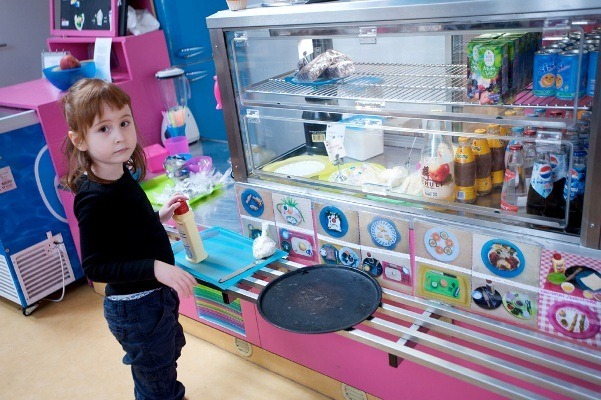 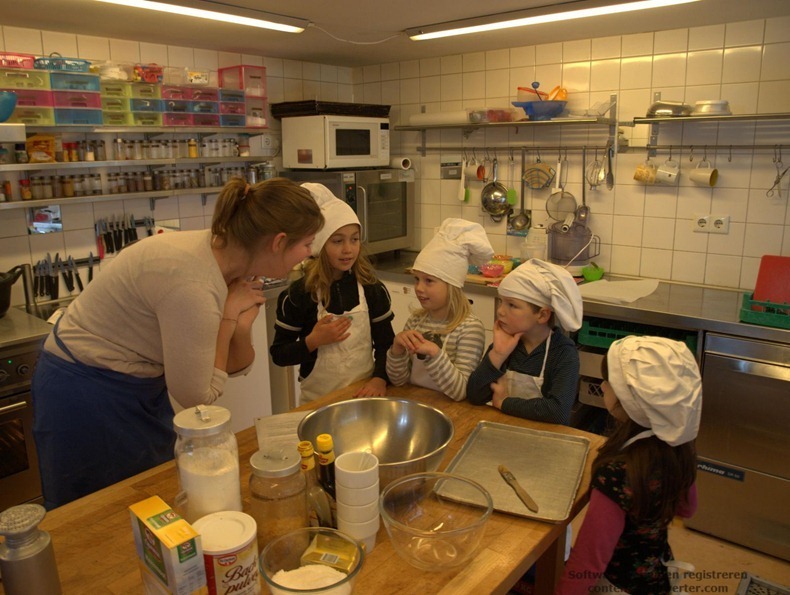 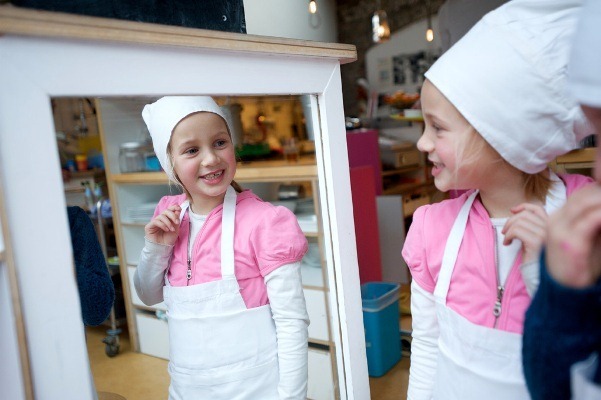 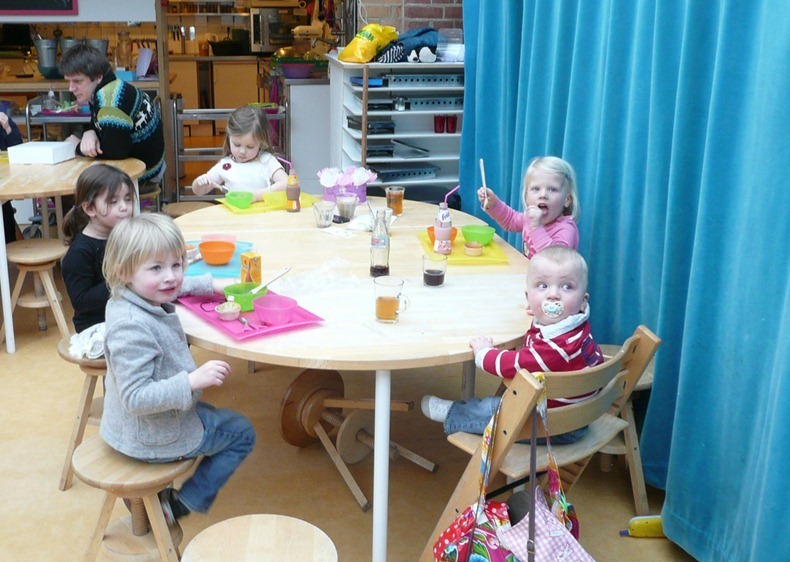 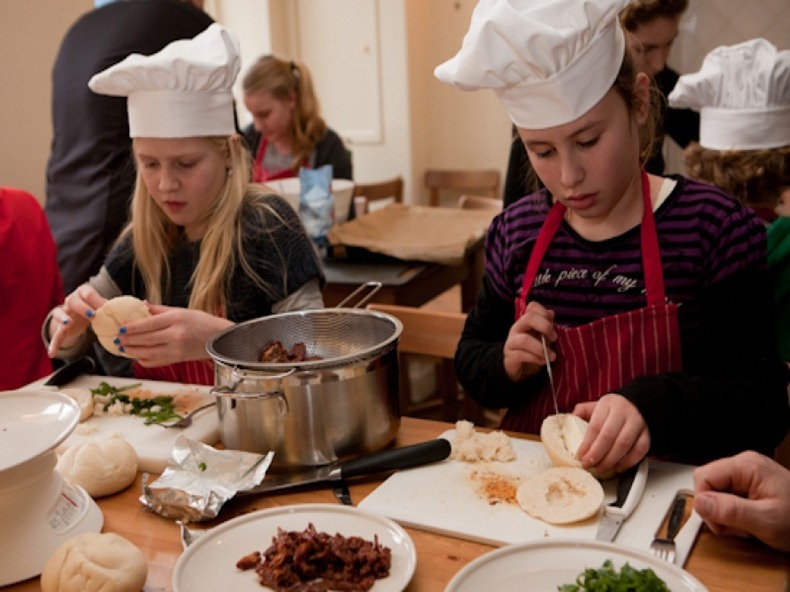 There is a cafe in Amsterdam where children cook and serve. 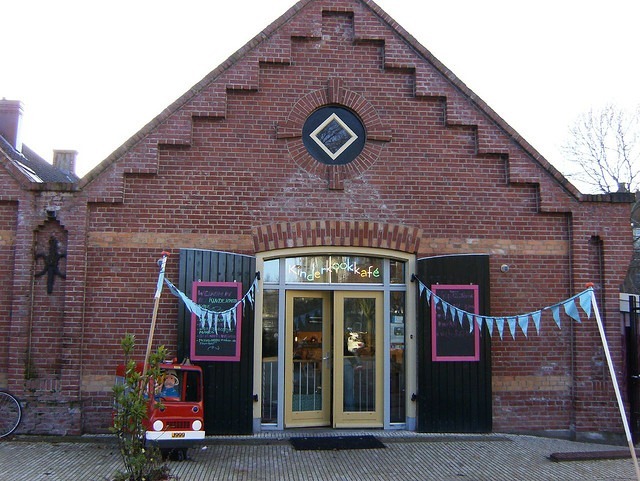 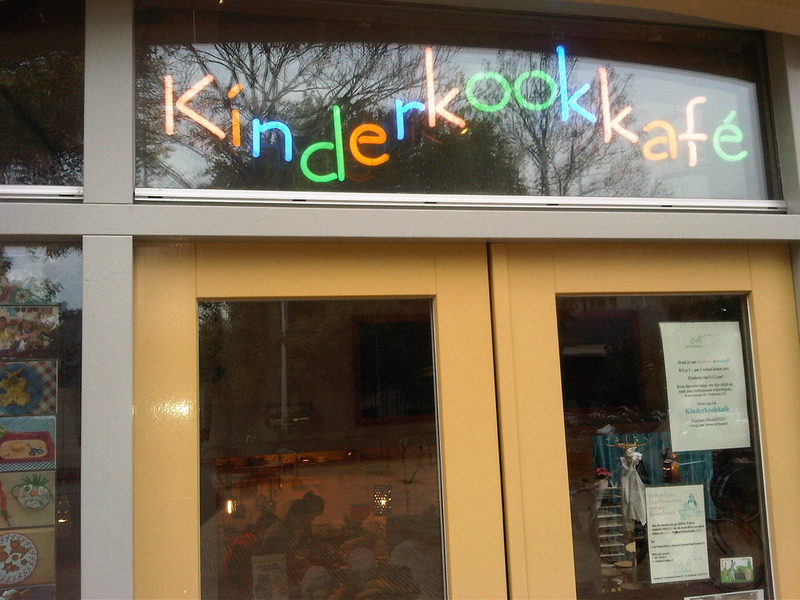 Kinderkookkafé is a family restaurant that is run entirely by children: they cook, serve, bring the bill and wash up, all with a little help from adults. 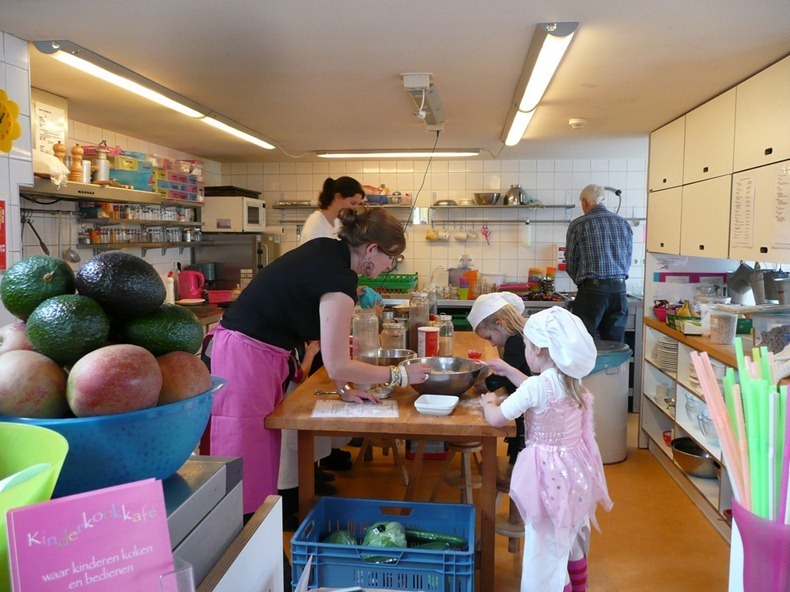 Parents leave their children in the afternoon and when they come back, they try what the children have prepared. 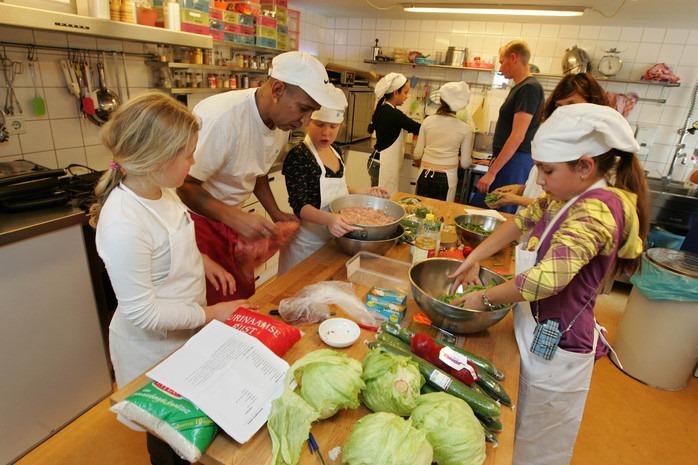 While the children are there, they are taught how to cook and serve food. 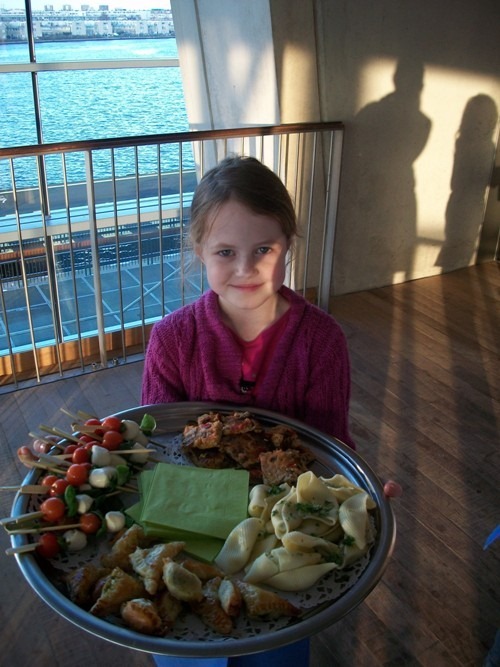 The food is simple, the prices are affordable. 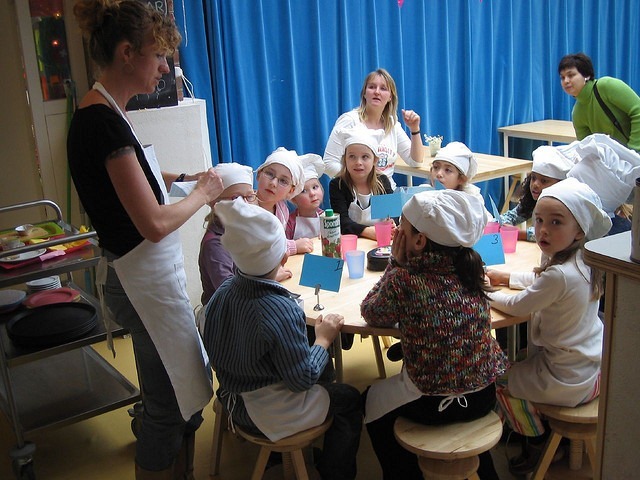 The basic idea is to teach kids how to be responsible and helpful by cultivating that behavior in a fun and child-friendly environment.